Hi. This is Binky, aka, my little booger. He is my very first puppy. As a new dog owner, I didn’t know what to expect from a dog. 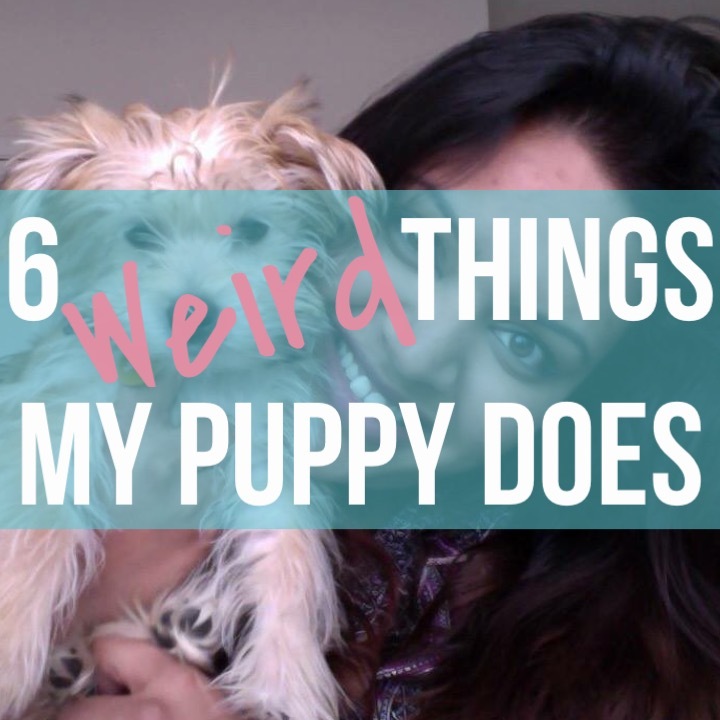 Here are just 6 weird things my dog does. 1. When he’s on my lap as I’m driving, he’ll randomly just look at me for at least 10 solid seconds. 10 really awkward seconds. 2. When he poops or pees, he gives me direct eye contact the entire time he’s doing the dirty deed. 3. When I rub his belly, his right leg goes bonkers. 4. He likes to eat grass. And carrots. And god forbids he gets into the jar of peanut butter! 5. If I’m studying or doing something on the ground, he’ll randomly come up to me and give me a tiny lick on my mouth (I guess its a kiss) and then goes back to minding his own business. 6. When it’s time to give him food or a treat, he’ll start spinning in circles. Psssst: What are some of the quirky things your pet does?? i wanted it to be a contender.